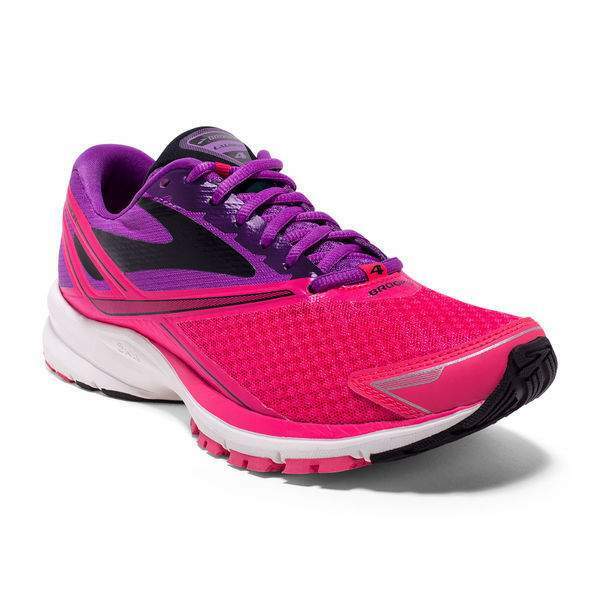 The Brooks Hyperion is a lightweight racing shoe. I love the look of these trainers and they feel like slippers when putting them on. After some initial short runs in them, they seemed like the perfect racing shoe for me and, as one of the lower cost shoes, will set you back a reasonable £90. Having broken them in, I decided to race the IOM (Isle of Man) marathon August 2016 in them, finishing in 2:54. There are other lightweight shoes to suit runners like myself but I prefer the minimal feel. At 153g these racers are very light and responsive. I suspect you wouldn’t see more than 300-400 miles in them if you are a prolific racer but definitely a lot more solid than the former T7’s, which I loved. In comparison, these trainers are similar to the fly knit – Nike Free with more internal cushioning in the sole. Unfortunately, although the seamless upper is very comfortable, on longer runs I found my little right toe got blistered. I think my right foot is bigger, so you may not have the same problem. Therefore, I have had to put these only to use on shorter runs such as a 10k and maybe half marathons. They are a great cushioned race shoe and well-constructed. However, like most racing shoes, they are a narrower, curved shape, so for longer runs I prefer the Launch, which comes up wider. The Brooks Launch is my everyday mileage trainer, they are a neutral trainer with 10mm heel drop. This shoe suits a range of runners, and could be used for everyday or racing dependent on your preference. The toe box is wide which suits my wide foot and also as a toe runner, I like the extra support underneath. The Brooks Launch is part of the “Energize Me” category and has more flexibility without the need to add additional weight to the shoe, something I do not like for racing. The Launch3 was the shoe that protected my feet for a 100 mile Thames Path race and 100k in the spring and summer of 2016. I have had a few blisters in the past in some shoes but these gave me no problems. I will be looking to purchase the Launch4 once I need to renew my flow of trainers. Considering how much some shoes have gone up in price recently, they’re great value for money at £90. I will continue to use the Launch as my mileage trainer and for long races. The Brooks Mach-XC is a lightweight cross-country spike which also works well for longer distances on the track. These are by far my favourite spikes, having previously worn Adidas where the back was too high on my Achilles. I have had 2 models of the Mach XC and wear a pair for track with 6mm spikes and then a pair I ran the famous ” Parliament Hill XC” in January. What I love is the purple colour and lightweight feel. They are wide and make me want to run fast with confidence. So in essence, whether your spikes say “xc” or “track”, as long as they are not sprint spikes you can wear what you love.